Debarshi Kar Mahapatra had obtained his graduate, post-graduate degree (in Pharmaceutical Chemistry) from Institute of Pharmaceutical Sciences, Guru Ghasidas Vishwavidyalaya India and doctorate degree from Department of Pharmaceutical Sciences,Dr. 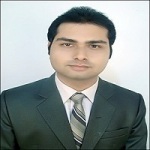 Hari Singh Gour Vishwavidyalaya, India in Pharmacy.He holds research experience in Council for Scientific and Industrial Research (CSIR) - Indian Institute of Chemical Technology (IICT), Hyderabad. He is currently an Assistant Professor at Department of Pharmaceutical Chemistry, Dadasaheb Balpande College of Pharmacy, Rashtrasant Tukadoji Maharaj Nagpur University, Nagpur, India.He taught medicinal and computational chemistry at undergraduate and post-graduate levels and has mentored students in various research projects.His area of interest includes computer assisted rational designing, synthesis of low molecular weight ligands against druggable targets, development of drug delivery systems, and optimization of unconventional formulations. He has authored 1 textbook on Drug Design, 2 textbooks on Medicinal Chemistry, and edited 2 books in Pharmaceuticals. 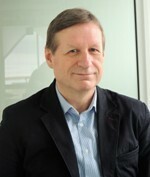 Presently, he is serving as reviewer and editorial board member for several journals of international repute. He is a member of a number of professional and international scientific societies. Development of Novel Drug Delivery Systems (NDDS). Computer Assisted Rational Designing of Low Molecular Weight Ligands against Druggable Targets. 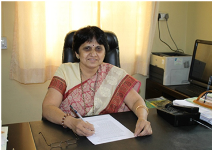 Dr. (Mrs.) N. S. Rajurkar is former Professor and Head of the Department of Chemistry and Former Head, Department of Environmental Science at Savitribai Phule Pune University. She is a Fellow of Maharashtra Academy of Sciences and has been working in multidisciplinary areas such as diffusion in aqueous solutions, neutron activation analysis, Environmental pollution, wastewater treatment, medicinal plant chemistry, synthesis of ayurvedic bhasma, radiopharmaceuticals, public health etc. she has guided 16 M. Phil and 29 Ph.D. students and has more than 250 research publications to her name. She acted as the Editor of International journal “Clean-Soil Air Water” of Wiley Blackwell and also as peer team member of NAAC. International Biographical Research Centre at Cambridge, UK has listed her among the “leading scientists in nuclear chemistry” in 2009 and Indian Council of Chemists conferred her with “Prof. Kaza Somshekhara Rao Award for Best Women Scientist in Chemistry” in 2014. She is recipient of Best teacher award by Uttar Bharatiya Sangh, Pune in 2015.She also acted as the Radiation safety officer at Savitribai Phule Pune University. She visited several countries for invited talks and conferences. She was the vice president of Indian Association of Nuclear Chemists and Allied Scientists and Convener, Indian Women Scientists’ Association, Pune branch. She is a member of a number of scientific societies. Born in 1974, in Egypt. 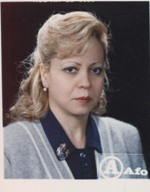 El-Roda, Berket El-Sabaa, Egypt, Works at National Research center, Egypt. He had his PhD in organic chemistry, in the synthesis of glycosides analogues as antiviral agents. Post Doctoral studies in Organic Chemistry, Institute of Organic Chemistry-Tubingen University - Faculty of Chemistry and pharmacies, Germany. Post-Doctoral studies in Organic Chemistry, Institute of Chemistry, Selsia University, Katowice, Poland. Interests are Organic synthesis of heterocyclic compounds and their glycoside and nucleoside analogs with modified sugar moieties for evaluation as antiviral, anticancer and antimicrobial agents and Study of the structure activity relationship of the synthesized compounds Current position is a professor at NRC, Egypt. 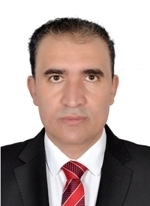 Dr. Saeid Yaripour is a pharmacist and assistant professor of Pharmaceutical & Food Control at the Faculty of Pharmacy, Urmia University of Medical Sciences, Iran. He received his Pharm.D. Degree (2009) from Tabriz University of Medical Sciences and his Ph.D. degree (2017) in Pharmaceutical & Food Control from Tehran University of Medical Sciences, Iran. His fields of study are including: *Pharmaceutical Analysis & Quality Control, *Food Analysis & Quality Control, *Pharmaceutical Microbial Control. His main research interests are in the: *Pharmaceutical Stability & Stress Testing, *Analytical Method Development, *Sample Preparation & Micro extraction Methods, *Biological & Phyto chemical Assessment of Medicinal Herbs. 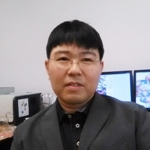 His current researches are focused on the miniaturized sample preparation and micro extraction methods for the determination of drug & food substances in biological and food matrices. Dr. KUNDAN PRASAD s/o Shri Lalu Ram was born in Vill- Bajeta P.O. - Bansbagar Distt-Pithoragarh in the year of 1978. He completed his PHD in 2009 in Division of Chemistry. He Worked as Senior Research Fellow in the project entitled “Development of pesticide residue free IPM package of major vegetables” in the Department of NaturalResource Management at ICAR Laboratory Indian Institute of Vegetable Research in 2004. Participated in seventeen days training on High performance Liquid Chromatography (HPLC) and Gas Liquid Chromatography (GLC), and ten days basic training on “Basics of pesticide residue analysis in vegetables and fruits” at ICAR Laboratory, Participated in training on “Plastic Recycling” by Udyamita Vikas Sansthan. And presently work as PGT Chemistry lecturer Uttarakhand govt. School Gic Garakha Pithoragarh from 27 May 2006 to continue. Dr. U. Srinivasa s/o U. Nagana Goud was born in 1966. He has completed his B.pharm in year of 1992 and M.pharm in 1994 and PhD in 2010. He published a book Pharmacognosy by Dr.U.Srinivasa, Nirmal publications, New Delhi, 2016. He had also given seminars and also received grants of 5 lakhs from Rajiv Gandhi University of health sciences, Bangalore (RGUHS) for research work, Project titled Development Of phytomedicine from Adhatoda beddomei and Clerodendrum phlomidis medicinal plants. He had published totally 45 articles, also given poster presentations. Had 23 years of teaching experience. Presently working as Professor and Head of the Department of Pharmacognosy and Phytochemistry since from 08-08-2008 to till date. His fields of specialization was Pharmacognosy & Phytopharmaceuticals. Plant chemistry, Pharmacology, Natural medicine , Phytomedicine ,Phytochemistry of drugs. 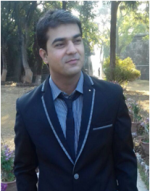 He was born on 5th Jan 1992 in Khairpur, Sindh, Pakistan. He did MSc and M.phil from Quaid-i-Azam University, Islamabad, Pakistan. He completed M.Phil on March 15, 2017 under the supervision of Prof. Dr. Aamer Saeed. He has published 50 research articles, all in peer-review, impact factor journals. His cumulative impact factor is 105.312 and His Google scholar citations are 128. He has published 2 book chapters and has delivered his talk in 6 international/national conferences that held in Pakistan. Currently, He is doing PhD under the supervision of Prof. Dr. Pall Thordarson at school of chemistry, University of New South Wales (UNSW), Sydney, Australia. 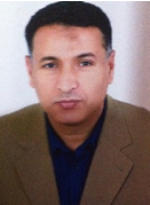 Prof.Khaled R. A. Abdellatif (PhD, pharmaceutical Sciences) is a professor in Pharmaceutical Chemistry and Ex-Dean at Beni-Suef University, Faculty of Pharmacy, Egypt. He had received the PhD degree from Cairo University (2004). He worked as a research associate at Faculty of Pharmacy and Pharmaceutical Sciences, University of Alberta, Canada from Oct. 2006 to Sep. 2010 and within these four years, he finished many projects about the design and evaluation of non-ulcerogenic COX-2 and/or 5-Lox antiarthritic agents and NO donor prodrug derivatives thereof in addition to Design, radiosynthesis, and biological evaluation of acyclic triaryl (Z)-olefins to detect tumors. Also, he published around 70 publications in the good impact journals in addition to supervising around 20 master and PhD theses. Moreover, he awarded the incentive national prize in medical sciences (the highest prize in Egypt, May 2015). Prof. Sener has been graduated from Ankara University, Faculty of Pharmacy in 1974 as the First Degree. She has completed her Ph.D. awarded by the Turkish Scientific and Technological Research Council (TUBITAK) at the Department of Pharmacognosy in 1977. In 1981, she became an Associate Professor. She achieved some researches at the Department of Chemistry, The Pennsylvania State University (USA) between 1986 and 1988 as Visiting scientist awarded by National Science Foundation. Her main research field is development of bioactive compounds from Turkish medicinal plants and marine organisms, evaluation and standardization of Phytopharmaceuticals and Nutraceuticals. She has won 21 awards from national and international institutions.She has worked as Director in 48 projects supported by NATO, NSF, IUPAC, Soctrates-Grundtvig, TUBITAK and Universirty Research Funds by now. She has authored 12 books, 77 chapters and 351 research articles published in leading international journals.She has also given 68 conferences and 256 plenary. Development of Bioactive compounds from Turkish medicinal plants and marine organisms. Evaluation and standardization of Phytopharmaceuticals and Nutraceuticals. Teacher of the Federal University of Goiás (UFG), Faculty of Pharmacy (FF) - Area: Clinical Biochemistry, Pharmaceutical Semiology, Community Pharmacy, Health Services and Teaching in Health. Doctor (2008) and Master (2003) in Biology, by Federal University of Goiás, Department of Biochemistry. Specialist (2016) in Education for the Professions of Health by the Federal University of Ceará. Graduated in Pharmacy (2000) by the Unified Institute of Higher Education Objective. At the present time he coordinates the Laboratory of Research in Teaching and Pharmaceutical Services of the Faculty of Pharmacy (UFG) (LaPESF / FF / UFG). He is a member of the National Teachers Corps of the Teaching Development Program for Educators of the Health Professions of the FAIMER Regional Institute, works in the Postgraduate Program in Health Care and Assessment (Master's Degree) and Health Sciences (Master's and Doctorate degree). 1991, B. S. in Chemistry.1997, M.Sc. in Applied Organic Chemistry, Faculty of Science,Benha University, Egypt.2004, Ph.D. with Prof. H. Laatsch (Natural Products Chemistry), Institute of Organic and Bimolecular Chemistry, Georg-August University, Gottingen, Germany.11/1992-06/1993: Assistant lecturer, Organic Chemistry Department, Faculty of Science.Benha University, Egypt. 07/1993-11/1999: Assistant Researcher, Chemistry of Natural Products and Microbiology Department, National Research Centre, Egypt.04/2003-02/2005: Assistant lecturer, Institute of Organic and Bio-molecular Chemistry, George-August-Gottingen University, Germany.11/1999-02/2005: Ph.D. 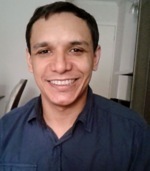 Researcher, Institute of Organic and Bio-molecular Chemistry, George-August-Göttingen University, Germany.04/2005-04-2010: Researcher of Chemistry of Natural Products, National Research Centre, Egypt.04/2010-05-2015: Associate Professor of Chemistry of Natural Products, National Research Centre, Egypt.05/2015-2018: Professor of Chemistry of Natural Products, National Research Centre, Egypt.2017 Post-doc fellowship,Institute of Organic and Biomolecular Chemistry, Georg-August University, Göttingen, Germany.01/2015-12/2017: PI of DAAD German-Arab Transformation Project.07-12/2017: Scientific Visitto Bielefeld University,Germany. The research interest of Prof. Shaaban is concerning with isolation and modification of bioactive compounds from diverse natural sources, collected from marine (Red Sea &Mediterranean Sea: Soft corals, Sponges, Algae, microorganism [bacteria and fungi] or terrestrial habitats (medicinal plants, bacteria and fungi), aiming to deliver leading drugs to overcome the recently discovered diseases worldwide and in Egypt especially. Prof. Shaaban has launched several cooperations with different research groups worldwide creating several scientific channels to increase the impact of research for novel drugs to decrease the risks of the currently increased number of diseases (cancer, hepatitis, ...). SONG, Qi-Shi was born in 1 November 1962 in Dazu, Chongqing, China. His academic degree was Ph.D. in Phytochemistry. He is a Professor and Head of Research Group on Ethno medicine, Xishaungbanna Tropical Botanical Garden and Chinese Academy of Sciences. He did B.Sc. in Botany, Department of Biology, Yunnan University, 1983 Ph.D. in Phytochemistry, Kunming Institute of Botany, Chinese Academy of Sciences, 2001. Isolation and identification of bio-active compounds from plants. Pharmacology of lead compounds of ethno-medicine. Young Ho Seo, Ph. D is an assistant professor at College of Pharmacy, Keimyung University, Daegu, Korea. He obtained his bachelor’s degree in Chemistry along with earth system science at Yonsei University, Seoul, Korea. He then obtained his doctoral degree in Organic Chemistry at Iowa State University, Ames, IA, USA. After receiving his Ph. D in the department of chemistry at Iowa state university, he joined the institute of life sciences and department of pharmaceutical sciences as a post-doctoral associate at University of Michigan, Ann Arbor, MI, USA. After 4 years of post-doctoral career, he joined at College of Pharmacy, Keimyung University in 2011 as an assistant professor. His research has focus on structure-based drug discovery, regarding protein homeostasis and epigenetic modifications against cancers. 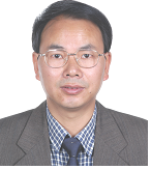 Sai-Sai Xie is an associate professor at National Pharmaceutical Engineering Center for Solid Preparation in Chinese Herbal Medicine, Jiangxi University of Traditional Chinese Medicine, Nanchang, China. He obtained his bachelor’s degree in pharmaceutical engineering at Henan University of Chinese Medicine in 2008, and then received his doctoral degree in medicinal chemistry at China Pharmaceutical University (CPU) in 2013. After obtaining Ph. D, he stayed and began hispostdoctoraltraining in Department of Natural Medicinal Chemistry at the same institution. When completing the 2- yearpostdoctoraltraining program,he joined the faculty of Jiangxi University of Traditional Chinese Medicine, and served as associate professor in 2015. Design and synthesis of multitarget/multifunctional molecules based on natural product for the treatment of multifactorial diseases such as Alzheimer’s disease and cancer. Development and application of new computational and informatics methods and tools for drug design and discovery. Anil Kumar received his PhD(2013)in Nanoscience from the National Center for Nanoscience and Technology (Chinese Academy of Sciences, CAS), Beijing, China. 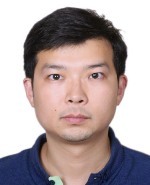 He worked as a postdoctoral researchfellow at the Beijing Institute of Nanoenergy and Nanosystems, Chinese Academy of Sciences, Beijing, China. He is currently a Research Associate in the Department of Chemistry, University of Georgia, Athens, GA, United States. His main research interests include development of nanomedicine for neurodegenerative and cardiovascular diseases as well as circumvention of drug resistance in cancer. In addition, he has been working with the School of Chemical Materialsand the Regenerative Bioscience Center, University of Georgia, with an aim to developa nanoplatform for the treatment of cancer and cardiovascular diseases. 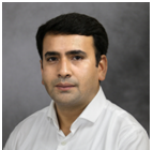 Dr. Kumar has presented his studies at invited talks and seminars in China and theUnited States. He has over 30 publications in scientific journals as well as special appearances on topics related to cancer nanomedicine. Nanomedicine for Neurodegenerative and Cardiovascular Disease. Theranostic& Personalized Medicine for Better Healthcare. Circumvent Drug resistance in Cancer. Nano-based Portable Devices for Rapid Detection. 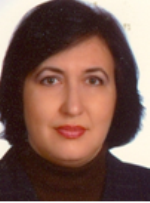 Neslihan Demirbas has completed her PhD in Karadeniz Technical Universty, TURKEY. She published 53 papers in reputed journals. Her research interests are to design and synthesis new bioactive compounds via green chemistry procedures. 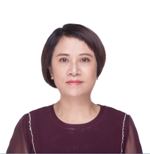 Prof Lijuan Chen was graduated from Sichuan Univesityin 1995 and got her Ph.D in University of Wales Swansea, UK in 2004. In late 2004, she came back to Sichuan University and entered the State Key laboratory of Biotherapy(NKLB) as deputy director of State Key Laboratory of Biotherapy, West China Hospital, Sichuan University. Her research field includes screening bioactive compounds from natural compounds; modifications of small molecular compounds; and drug delivery system.For the past 10 years,she has made great progressin drug discovery and development. She held more than 10 national level key projects, including the National Science Foundation of China，Key National Science Foundation of China and the National Hi-Tech Research and Development Program (863 program) and 5 province level key projects. She has applied more than 40 national and international patents, 25 of them have been authorized.